Every adult with property or with other assets of more than a couple of thousand pounds should make a Will and register it. Without a Will, the state directs who inherits and often this will not be the persons who you would want or expect. This is particularly the case if you are not married or in a civil partnership, but equally if you are in such a relationship and have significant assets, rules which apply are very unlikely to have the result you would want. A Will is vital if you have children or other dependants who may not be able to care for themselves. Once you have decided upon making a Will, you may be tempted to use an on-line Wills service or a ‘do-it-yourself’ pack. There are many pitfalls in this approach as opposed to using a solicitor. Solicitors are governed by legislation, regulated and subject to many years of training to qualify. Most solicitors operate on the basis of a personal service and are required to check that you understand what you are doing and that you are not being bullied or forced into the arrangements which you are making. Your solicitor should be able to offer a personal, quality service and to provide advice ranging from tax considerations to preserving assets from care charges, looking to the best way of carrying out your wishes. If you do not make a Will through your local solicitor, there will often be the uncertainty after your days as to whether you did or did not make a Will, and this can lead to expensive enquiries having to be carried out after your days by whoever is sorting matters out, and also to the risk of it being discovered at the end of the day that someone else is entitled to the assets or property to the person who thought they were, which can lead to costly and upsetting disputes. Because of this risk, we at Ungoed-Thomas and King believe that not only should everyone with any assets make a Will but that Will should be registered on a national register so that, if there is any uncertainty as to whether a Will was made or not, it can easily be found. Ungoed-Thomas and King have signed up with certainty.co.uk, the UK’s first ‘on-line registry for Wills’ as a Founder Member and registration is offered to our clients as part of our Will making package. The cost of making a Will properly through a solicitor is almost certain to be outweighed by the peace of mind that comes from knowing that your wishes have been put into a legally valid document and saving your family the additional costs which are almost certain to be faced in any situation where there is no Will or where there is uncertainty over whether there is a Will and where it might be. If you purchased your current property prior to 1st December 1988 there is a distinct possibility that your property is not currently registered at the Land Registry as only 60% of land in England and Wales is registered. The Government and the Land Registry are actively encouraging landowners of unregistered land to register their land at the Land Registry. The Government has indicated that it requires all property in England and Wales to be registered as part of the e-conveyancing process. The Land Registry are currently discounting their fees by 25% for voluntary first registration in order to encourage land owners to register their property in advance of the Government target date. • it will prevent third parties from making claims against your land. • the title to your property will be condensed onto one single document and stored electronically at the Land Registry. • it is not necessary to have a physical set of deeds and thus reduces the necessity for bulky storage of papers either with yourself or your bank or your Solicitor. We can offer fixed fees for this work so please speak to one of our specialist Property Solicitors on (01267) 237441 to discuss how UTK can assist you. At the end of a long hot summer, you may be tired of keeping your grass under control and tempted to allow your neighbour’s animals to graze upon it. Whilst you may be reluctant to enter into formal relationships with friends and neighbours, proceed with caution as failure to do so could lead to a host of legal problems. You should make sure that any grazing arrangements are recorded in writing. If it is a temporary arrangement, then make this clear from the outset and grant a licence for no more than a year. If it is for more than a year and your neighbour has exclusive occupation, then your neighbour may become your tenant. If it becomes an Agricultural Tenancy, then this may lead to protracted court proceedings in order to obtain possession in the event that your tenant refuses to leave or, stops paying any money for the right to occupy. If you abandon land or forget about it for a period of years, an occupier may then claim adverse possession of the land and try to register it in their name at the Land Registry. If you are in any doubt or have queries in relation to this sort of problem, do not hesitate to contact us on (01267) 237441. Every year, more and more people like to leave a gift to charity in their Will. These legendary acts are a vital source of income for our favourite causes and are instrumental in enabling them to continue their work. 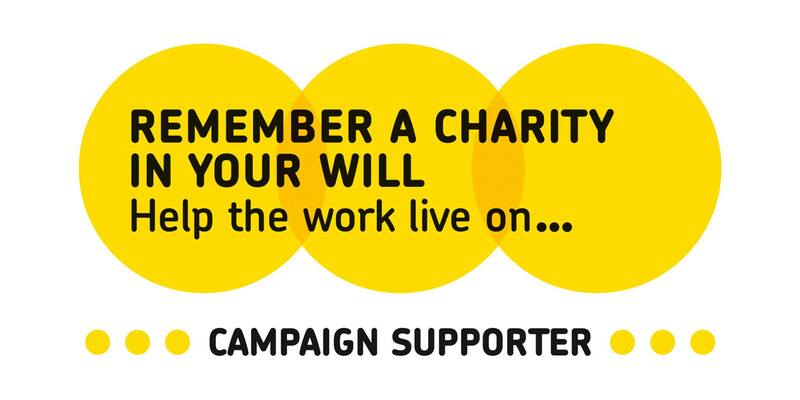 That’s why we’re taking part in Remember a Charity in your Will Week to help raise awareness of the importance of gifts left in Wills. If you could pass on one piece of advice to your younger self, what would that be? That’s the question Remember a Charity asked charities, their supporters, the general public, politicians and celebrities. The response was hundreds of legendary quotes – words of wisdom from now to future generations. These quotes form the narrative for this year’s Remember a Charity in your Will Week. Writing a Will is one of the most important things you will ever do. It’s a common myth that you have to be wealthy to leave a gift in your Will to help a charity, but nothing could be further from the truth. After taking care of family and friends, you too can do something legendary by including a charity in your Will. 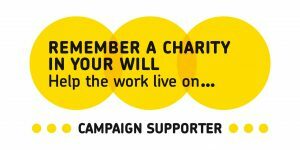 Find out more at www.rememberacharity.org.uk or speak to one of our Wills and Probate team on (01267) 237441 about updating your Will. WIQS provides a best practice quality mark for wills and estate administration advice that consumers can trust. The scheme is based on a protocol that sets client service standards to ensure transparency in process, costs and communications. It outlines required practices for will drafting, probate and estate administration to help address common risks, errors and inconsistencies that arise in delivering advice. We are very proud to be the only Legal Practice in Carmarthen to have gained this quality mark.